On Friday, August 9 2013 a delegation from Turks and Caicos visited Haiti for a trade mission. The team was led by EJ Saunders, the current CEO of Digicel TCI and the head of Providenciales Chamber of Commerce. Margarette Lemaire who is the Haitian Consul in TCI was also part of the delegation. The mission is focused on identifying the investor opportunities in Haiti and exposing these opportunities to willing investors. The trade mission is targeting various sectors in Haiti which include tourism industry, hotel industry, the agricultural sector, building and construction development and Haitian product distribution. 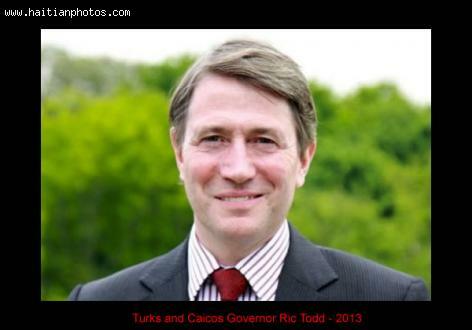 The Turks and Caicos team are determined that they will secure a bilateral business cooperation with Haiti. Saunders and Lemaire were impressed by the participation of the public sector in the mission. The mission saw about 14 local investors and businesses join in a bid to create awareness of the developing Haitian economy and ignite fresh investor interest. Saunders said that it is time for other businesses from TCI to join Digicel which is already doing well in Haiti. He believes that TCI investors can benefit from the enormous population of Haiti and the county's readiness to open up doors for international businesses. The major objective of the mission was to expose Haitian assets as an international trade destination. The mission identified commercial and business opportunities ideal for TCI investors. There were also discussions with Haiti government on how to develop and enhance trade between the two nations. Ways to establish and improve trade agreements were also discussed.